Dr. Sanjeeva Onteddu is an Assistant Professor of Neurology, Medical Director for the AR SAVES Program and Medical Director of the Stroke Program at the University of Arkansas for Medical Sciences. 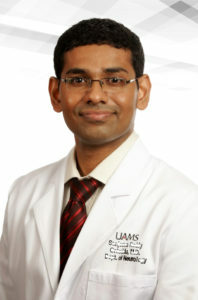 After completion of a 4-year neurology residency at UAMS, he completed a 1-year vascular neurology fellowship at the University of Massachusetts. He is board certified in neurology and vascular neurology, and maintains active memberships with the American Heart Association and American Academy of Neurology. Renee Joiner is the Director of AR SAVES. She has a long history of public health leadership including trauma system development, public health preparedness, HIV prevention and treatment, tobacco prevention and the Healthy AR initiative. Marzella is a 2018 graduate of the UAMS Nursing Master’s Program in Administration, with a specialty in Education. 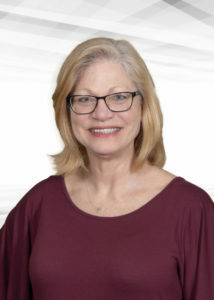 She has been at UAMS since 2006 where she has worked in various nursing roles ranging from medical / surgical nursing, emergency department nurse, and in Interventional Radiology. She has been with the AR SAVES program since January 2017. Suzanne White graduated from the University of Arkansas at Fort Smith in 2003 with her Associate Degree in Nursing. She joined the AR SAVES team in 2016 after working for 8 years in the Maternal/Infant Division of UAMS and the Center for Distance Health Call Center. She is currently pursuing her BSN degree at UAMS and anticipates completion in 2019. Tim Vandiver has been with the AR SAVES program since October of 2015. Before joining AR SAVES Tim worked as a Paramedic and ER nurse for over 33 years. Currently Tim is the Outreach Nurse for 8 ARSAVES hospitals and is responsible for the AR SAVES for EMS education in Arkansas. Calvin received his EMT and Paramedic license at ASU, Searcy. He later went on to graduate with a Bahelor’s degree in EMS from UAMS. He has been in EMS for 15 years. Five of those years were at UAMS with the AR SAVES Program. Samantha graduated from Pulaski Tech in 1992 as a Paralegal. She attended EMT school with MEMS worked for EMS for 4 years. She joined the AR SAVES Program in 2017. Lizelle attended EMT school at MEMS Ambulance Service where, upon graduation, she worked for the next 10 years. She is the most recent addition to UAMS and the AR SAVES Program. Born and raised in Malvern, AR, Olivia graduated with a Bachelor of Science Degree in Health Education and Promotion and Master of Science Degree in Health Sciences from the University of Central Arkansas in Fall 2012. Olivia went on to become a Certified Health Education Specialist and member of the National and Arkansas Chapters of SOPHE and APHA. Olivia joined the AR SAVES Program in June 2015. Born and raised in Searcy, AR, Erin graduated from the University of Central Arkansas in the Spring of 2017 with a Bachelors of Science in Health Education and Promotion and a minor in Nutrition. She then became a Certified Health Education Specialist and went on to joined the AR SAVES Program in August of 2017.